Discover a more authentic, more unique side of Vietnam. Travel from Hanoi to Ho Chi Minh City, taking insightful tours that shine a different light on local culture. Venture through Hoi An’s outskirts by Vespa, visit hidden markets in Hue, see a modern dance performance in Saigon and much more. Upon arrival to Hanoi, our guide and driver will be waiting to provide transport to the hotel for check in. After checking in, the remainder of the day is at leisure. Depart at 0830 from the hotel for the day’s first visit: the Temple of Literature, Vietnam’s first university. Founded in 1076, Quoc Tu Giam was established within a temple to educate Vietnam’s royalty, mandarins and members of the elite. The university functioned for an incredible 700 years and its gardens and well-preserved architecture offer a fascinating glimpse into Vietnam’s past. Visit the One Pillar Pagoda, founded in 1049, followed by the exterior of the grand, yet solemn mausoleum of the historic father figure of modern Vietnam, Ho Chi Minh. Nearby is the former president’s house on stilts, where he lived from 1958 to 1969. Continue to the picturesque West Lake and the 6th century Tran Quoc Buddhist Pagoda. From here transfer (or stroll along the lakeside) 700 meters to the nearby Taoist temple of Quan Thanh. In the afternoon, visit the fascinating Ethnology Museum (closed Mondays), which is both a research centre and a public museum exhibiting the ethnic groups of Vietnam. Alternatively, pay a visit to the highly acclaimed Vietnam Women’s Museum to learn all about the integral role of women in Vietnamese history and society. 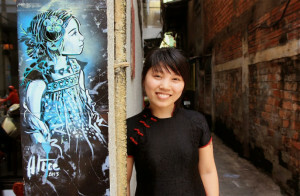 Wrap up the afternoon with a visit to Hanoi’s Old Quarter. Take a walking tour through charming Hang Be Market and around Hoan Kiem Lake. This bustling area of narrow streets and alleys is home to literally thousands of small businesses and shopkeepers. 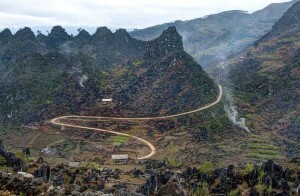 Begin Day 3 with a departure from Hanoi for the 2-hour drive from Hanoi to the site of Vietnam’s first capital, Hoa Lu. Visit the temples dedicated to Emperor Dinh Tien Hoang of the Dinh Dynasty (968-80) and Emperor Le Dai Hanh of the Le Dynasty (980-1009). The ancient Hoa Lu Citadel (most of which has since been destroyed) once covered an area of three square kilometres. If time permits, take a half-hour walk up one of the surrounding limestone karst hills for some spectacular panoramic vistas. In the late morning, depart for Tam Coc town for a Vietnamese lunch, stopping along the way to take some photographs of local villages and the stunning landscapes. 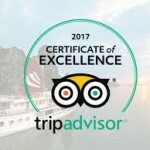 After lunch, board a private sampan for one of the optional tours listed below. 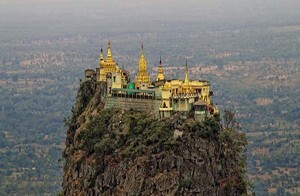 For the adventurous sort, climb up to Bich Dong Pagoda on nearby Ngu Nhac Mountain for some great views and to see the summit’s three unique pagodas: Ha, Trung, and Thuong Pagodas. Return by sampan to Tam Coc town before returning to Hanoi. 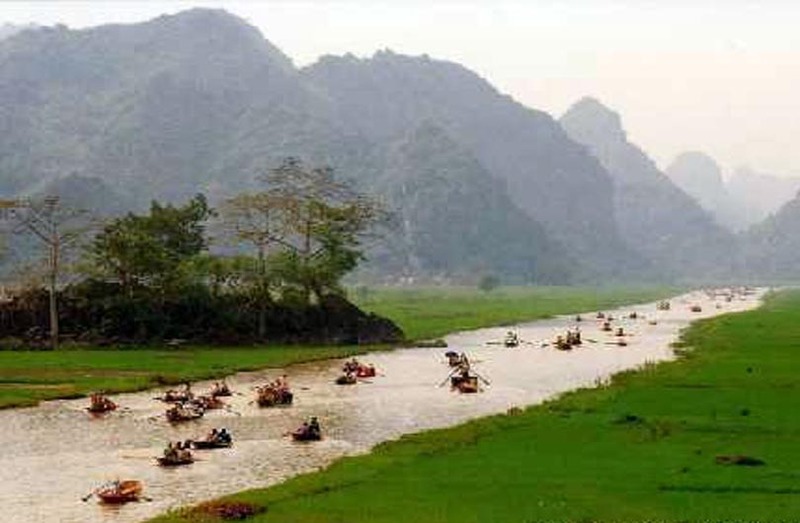 Situated near Tam Coc, Trang An is a nature reserve similar to Tam Coc (however less visited.) Limestone hills surround a peaceful river, which passes through a series of caves (one which takes 15-minutes to pass through in darkness). An ‘eco tourism’ area, the only interruptions here are the sound of birds and the gentle paddle of the oar upon the crystal clear river. Similar to Tam Coc, Thung Nang is another pleasant alternative. Pass through a cave, fields of lotus (in summer), and reach a quaint pagoda before returning on the same route. After breakfast, depart Hanoi for a 3hr 30mins drive to Halong Bay, including a 20-minute stop on the way. Arrive at the jetty in Halong City towards noon and proceed with check-in formalities. After a welcome onboard, lunch will be served while cruising towards the bay. In the afternoon, enjoy some on board activities (depending on each boat’s itinerary) or just spend some time relaxing on the boat. Towards the end of the day, the boat sets anchor for the night among karst formations. Dinner is served on board. For early risers, enjoy a sunrise over Halong, with a breakfast served shortly thereafter. Enjoy dining while the vessel cruises slowly back towards port. Disembark and transfer back to Hanoi. Follow up with a transfer to Noi Bai Airport. 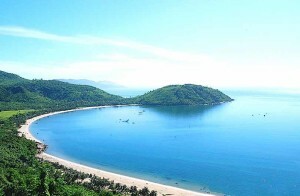 After a short flight, arrive to the central port city of Danang. Upon arrival to Danang, transfer 40 minutes to Hoi An, a major Asian trading port of the 17th and 18th centuries, whose architecture and relaxed lifestyle has changed little over the years. Begin the explorations in Hoi An with a private, half-day tour. Set out around 0800 on the back of a vintage Vespa motorbike for the streets of the old town. Stop off first at a local café where the day’s itinerary will be revealed in more detail. The tour will then head over to Cam Kim Island’s buzzing fishing port, stopping at a traditional boat builder’s yard before venturing off to explore other local villages. Weaving through the rustic scenery of rice paddies and farmland, enjoy stops along the way to learn from friendly local families the art of mat weaving, farming, and how to make (and sample) the perfect “banh dap” (rice cracker). Arriving at a small village, a pit-stop will be made at a local café to fuel up on local drip-coffee before conquering the bamboo bridge that spans the river to the opposite bank. Arrive at Duy Hai market and harbour. The tour will end around 1300 with a transfer back to the hotel. 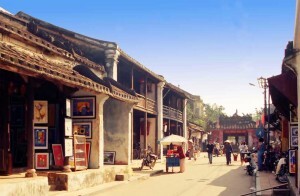 This afternoon, explore Hoi An’s charming old town on a walking tour. Pick up from hotel in Hoi An. Hoi An was a major Asian trading port in the seventeenth and eighteenth centuries and its architecture and relaxed lifestyle have changed little over the years. Take a walking tour of the ancient town centre to visit the former merchants’ homes, the 400 year-old Japanese Covered Bridge, a Chinese communal hall and the colourful market. Spend the morning at leisure before leaving Hoi An for Hue, the former imperial capital of Vietnam. Its mesmerizing tombs and mausoleums of the last emperors of Vietnam reveal fascinating insights into the lives of the imperial families and their subjects. The ancient Citadel reflects the pomp and ceremony of the dynastic rulers as well as the scars of many years of turmoil, both ancient and modern. The Royal Citadel was badly damaged in the latter stages of the war but retains a sense of grace and majesty even today. Depart from the hotel in Hue around 0830. Begin the city tour at the Imperial Citadel where the Nguyen Dynasty ruled between 1802 and 1945. From here take a cyclo through dai noi ‘Old City’ to Tinh Tam Lake where the Emperors used to come to relax. After exploring the ruins of this wonderful monument, depart for Thien Mu (Celestial Lady) Pagoda overlooking the Perfume River. 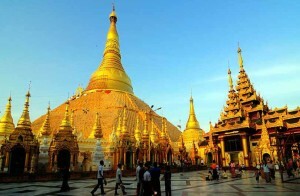 Constructed in 1601, the 21-meter tower is the centerpiece of the pagoda and represents seven reincarnations of Buddha. On the pagoda grounds is the famous Austin car a resident monk drove to Saigon in 1963 to protest against the southern regime. The photo of his self-immolation is one of the most well-known images of the war. Before heading back to the hotel, take time to stroll around Dong Ba Market with the guide. The market is another of the must see sites in Hue, the stalls are teeming with color and a great place to catch a glimpse of everyday life. Transfer to Hue Airport after breakfast for the short flight to dynamic Ho Chi Minh City, still called Saigon by the locals. A full day city tour takes in Cholon, the Chinatown district, to discover the area’s markets, shops and the Cantonese Thien Hau Pagoda – dedicated to the goddess of the Sea. Visit Vietnam’s first traditional medicine museum, the FITO Museum, with an amazing collection of 3,000 items relevant to the development of traditional Vietnamese medicine. Enjoy a delicious lunch at a local restaurant in town. This afternoon visit the War Remnants or History Museum and the former Presidential Palace, continuing to the major sights of colonial Ho Chi Minh City: the Old Saigon Post Office, Dong Khoi Street (formerly Rue Catinat), Continental Hotel, Opera House and City Hall. Depart from the hotel early this morning for the 3.5-hour drive to Sa Dec, deep in the Mekong Delta. Sa Dec is a charming, authentic Mekong Delta town that was immortalized by the French writer Marguerite Duras. Her novel “The Lover” went on to win the 1984 Prix Goncourt prize for literature. On arrival in Sa Dec, visit the charming Kien An Cung Pagoda before having lunch in the former home of Huynh Thuy Le who is the main character in Marguerite Duras’ novel. After lunch, board a local boat for the cruise to Cai Be. Sit back and enjoy the lush landscape and tropical life of the Mekong Delta. En route visit a flower garden as well as floating houses along a branch of the Mekong River where fish are raised in submerged cages. Make a stop at a traditional mat making workshop where river grasses are woven by hand. Reach the river town of Vinh Long to visit one of the biggest brick factories in the Mekong Delta. In this traditional factory the process of making bricks is done by hand and the imagery seems timeless. Back on the boat cross the Co Chien River, one of the two branches of the Mekong towards An Binh, Binh Hoa Phuc Islands and finally the Dong Phu canal and your final destination of Cai Be. Continue down river to The Mekong Riverside resort & spa perfectly situated overlooking a branch of the Mekong River. Overnight at the Mekong Riverside resort & Spa. Begin the morning with a sunrise boat cruise to the quiet but quaint Cai Be floating market. Produce at the market is hung on a pole in front of boats to attract customers and make it easier for people to see from afar what is on offer. Many vendors and traders working the river have been living on these waters for generations. Continue 50 minutes by boat to an area of the Mekong untouched by tourism. Here take a leisurely 7km cycling trip along shady back roads over tiny canals, past fruit gardens and sleepy villages. Alternatively, ride on a xe loi (a trailer towed from the back of a bicycle)- a mode of transport used only in the Mekong Delta. En-route stop at some traditional workshops which make turmeric spring roll paper and roof thatching made from the water palm tree. Mid-morning arrive at a family run orchard where diverse tropical fruits are grown. The owner, a former war veteran, will share stories from his life as well as display his garden to sample some fresh tropical fruits. Continue cycling to a stunning 100-year-old house which mixes Vietnamese and European designs. Here a Vietnamese lunch will be served consisting of dishes only found in the Mekong Delta. After the meal, bid farewell to the family before returning to Saigon where you will arrive in the late afternoon. The rest of the afternoon is your free time at leisure. Spend the morning at leisure until the departing flight from Tan Son Nhat Airport (transport provided).